Welcome home to Fall Creek. 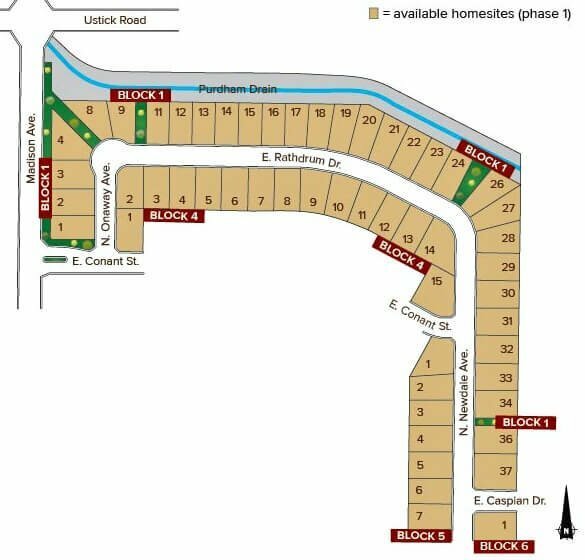 Own a brand new home in Nampa, ID not too far from the amenities you know and love. You are minutes from freeway access, and dining & shopping at the Treasure Valley Marketplace: Costco, Target, Kohl's, and more. Homes for sale in Fall Creek are close to schools and everyday conveniences yet tucked away from all the hustle and bustle. Homeowners enjoy a quiet country setting with homesites offering plenty of space for the grill and a backyard big enough for the kids to run around. Explore our new Nampa subdivisions guide or browse all new homes in Nampa & customize your Nampa real estate searches to match your needs. From I-84, take Exit 36 to N Franklin Blvd heading north. Turn left (west) on Cherry Ln then right (north) on Madison Ave. Turn right (east) on E Conant St, Nampa, ID 83687. Questions about Fall Creek subdivision new homes? Contact our Nampa Idaho neighborhood experts online or by phone (208) 391-4466 today.